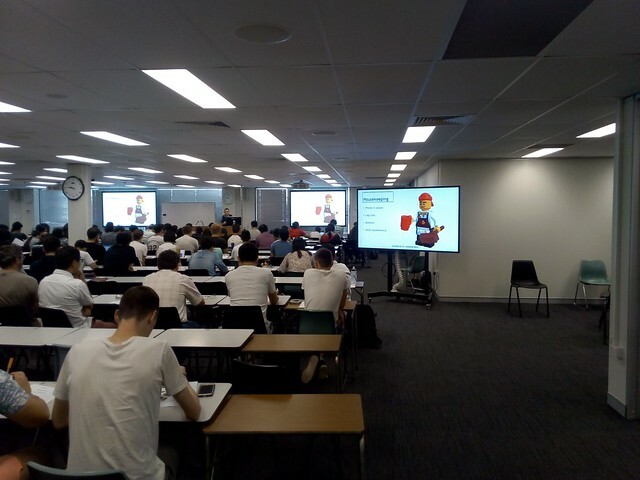 Dr Stephen Dann took the students Lego Serious Play in the morning and Dr Craig Davis on User Centered Process in the afternoon. The idea is to get the students thinking as a team (not individuals) and thinking about what will be useful for the client and their users (not what the team wants to build). This all took place in the same large flat floor classroom as the previous exercise. One limitation of the room is that the small single person tables are arranged in straight rows. An enterprising team of students at the back rearranged their tables in to circle for better group-work. To rearrange all the tables for group work would take considerable effort, as they don't have wheels. 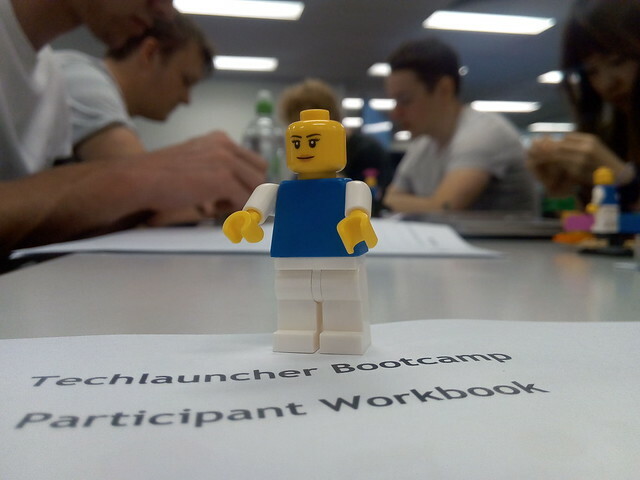 I have previously been a student in one of Dr Dann's Lego exercises (and recommended it for TechLauncher). It takes a little while (and some faith) to accept that this is a serious educational activity, not just playing with bricks. The students were asked to build something to represent the project and their role in it, after each build describing it and answering questions from other students. Dr Davis took the students through exercises to verify the product to be produced would be valued by the customer. This is a small part of what is usually a much longer workshop series (which I have been a student of). There is a version of this for researchers being run from March. The exercise where team members have to get up and interview members of other teams was a little hampered by the limited space between desks. Apart from the limitation of non-groups desks, the flat floor large room worked well. 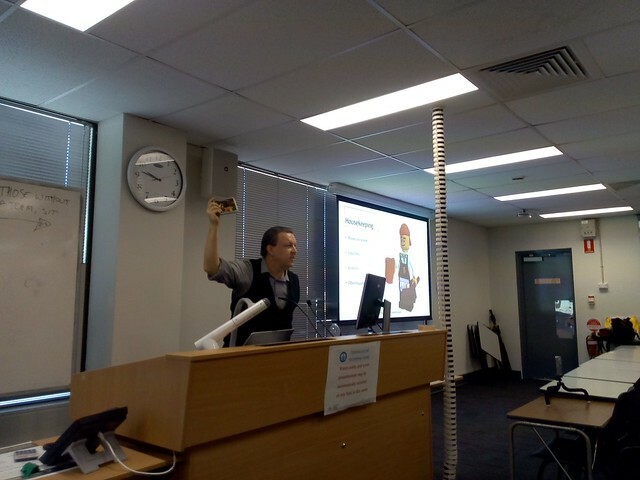 I moved my teaching on-line in 2009. With flexible facilities becoming available for flipped/blended learning, it may be time to go back to the classroom.